The day began with 17 players all vying for the top prize of a World Series of Poker bracelet and $279,084 and at the beginning of the day it was anyones game. Everyone came into the day just a stone throw away from each other, but it was Alexey Makarov leading that pack. Players started dropping fast at the start of the day. So fast in fact that before the second break, players had already reached the unofficial final table. First to go was Ari Engel. Engel doubled up early, but he couldn't hang on tight enough and he was flung out of the tournament in 17th place when he was eliminated by Joshua Weiland. Next to go were Dylan Linde, Matthew Lansdon, and Stephen Chidwick who all fell in rapid succession. Right before the final table, John O'Shea and Vladimir Shchmelev got involved in a huge pot that gave Shchmelev some momentum that he needed to eventually win the tournament. 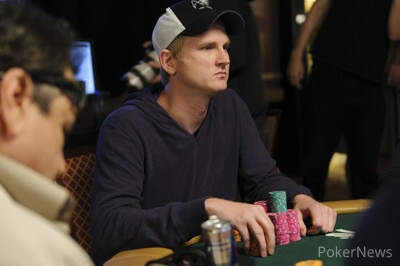 In the hand, Shchmelev cracked O'Shea's aces and managed to quarter him for most of his stack. Leaving in the next spot was Joshua Weiland who started the day as one of the shorter stacks, but was able to grind back up. He ended up finishing in 13th place when Ashly Butler began a monster run that would propel him into the chip lead. Falling next was John O'Shea who dropped to Mel Judah and closing it out just short of the unofficial final table was Robert Price, who was eliminated by Alexey Makarov. When final table time approached, Ashly Butler eliminated Zhen Cai in stunning fashion when the two of the top three stacks in play collided. Butler turned a straight against Cai's set on a high only board and Cai couldn't fill up. From there, Butler took control of the final table and held the chip lead until three handed play. Falling in ninth was start of the day chip leader Alexey Makarov, who slowly slipped from the top of the leader board, to the middle, to completely out of the tournament. Then in a very short span, Ashly Butler eliminated Allyn Jaffrey Shulman, Andrey Zaichenko, and Tyler Nelson. Falling in fifth was "Miami" John Cernuto, who was yet another casualty of Ashley Butler. In the hand, Butler rivered Cernuto right out the door when he caught a straight and a nut low. Four handed play was when the tides began to slowly shift towards Vladimir Shchmelev. It began when he eliminated Brian Hacker in fourth place. 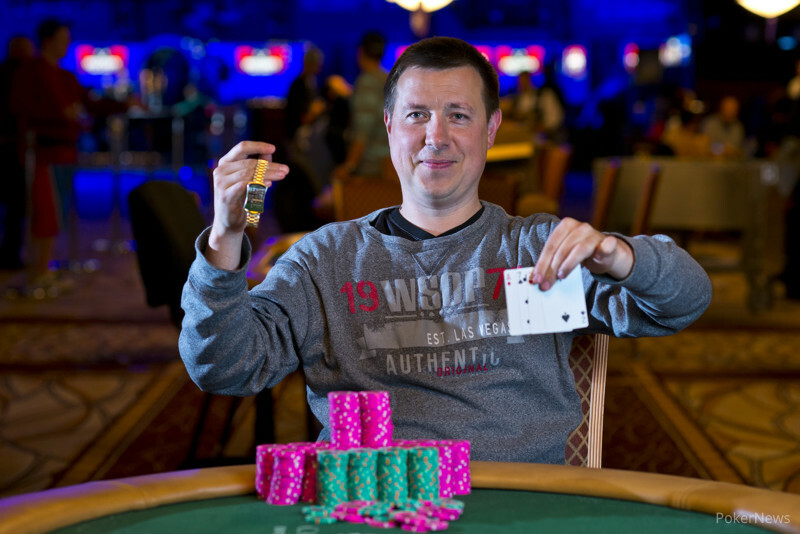 In the hand, Shchmelev rivered a straight against Hacker's set to send him to the payout desk. 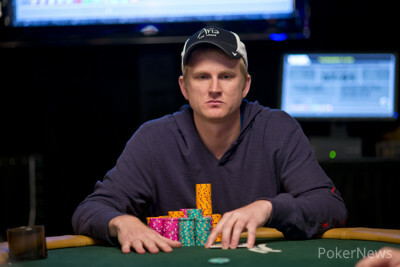 From there, Shchmelev took several big pots off Butler to gain the chip lead. And in the biggest one, Shchmelev had Butler drawing to just a quarter to stay alive. Butler hit his gin card for a quarter, but that hand left him crippled. Shortly after, Shchmelev flopped the nuts when Butler had aces and that was the end of Butler's run. Heads-up player didn't last for too long and after trading back and forth for a few hands, Mel Judah flopped trips while Shchmelev flopped a boat. All the money got in the middle, and at the end of it Shchmelev remained standing victorious. 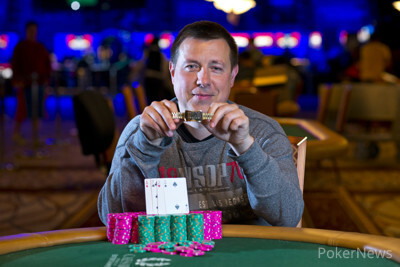 After coming close to a bracelet several times, and having a massive run with no bracelet in 2010, Shchmelev was able to claim his first, well deserved World Series of Poker gold bracelet. That's it for us here a PokerNews.com in Event #46: $3,000 Pot-Limit Omaha Hi-low 8-or-Better. Be sure to stay tuned for all our coverage of the 2013 World Series of Poker where will bring you updates from every tournament through the rest of the series. On the final hand of the night, Mel Judah opened to 125,000 from the button. Shchmelev called from the big blind. The flop came down and Shchmelev checked to Judah who fired 125,000 again. Shchmelev reraised to 350,000. Judah called. The turn was the and Shchmelev potted it for 950,000. Judah announced all in and Shchmelev called quickly. Judah had flopped trips, but Shchmelev had done him one better and flopped a full house. It looked grim for Judah unless he could river a chop, but the river was the , not allowing for that. With that, Judah was eliminated in second place while Shchmelev claimed the first place prize and his first WSOP gold bracelet. 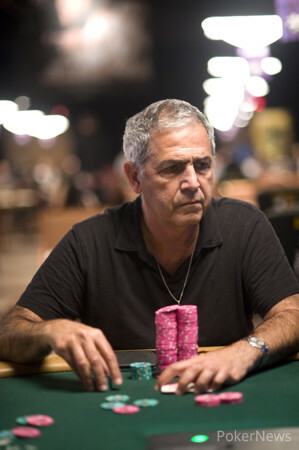 Mel Judah called Vladimir Shchmelev's 200,000 turn bet with the board reading . The river was the , and Shchmelev slid out a small stack of green T25,000 chips. Judah slid out a far larger tower of the chips, and Shchmelev quickly folded. The two remaining players are seated and ready to play for the championship. After just two hands of heads up play, both which ended with Vladimir Shchmelev scooping small pots, we're on a 20-minute break. Vladimir Shchmelev limped in on the button, then from the big blind Ashly Butler raised to 140,000. Shchmelev called and the two took a flop. On the flop, Butler potted, which led to an all in from Shchmelev that Butler quickly called. "Do you have seven-eight?" Butler asked. "I have aces." Shchmelev did have seven, eight, and he showed it. It was grim for Butler but he could still catch winners to win the pot. Unfortunately for him, the and the were not those runners and he was eliminated from the tournament in third place. Ashly Butler nearly lost his stack. Ashly Butler had reraised before the flop from the big blind, and Vladimir Shchmelev called from the button. Butler fired out 250,000 on the flop, and he was again called. The turn was a , and Butler moved all in. Shchmelev was in there instantly, and he was in fantastic shape. Butler was dead to a quartering, as Shchmelev had a full house for high and the nuts for low. Miraculously, the hit the river, and Butler's remains in contention, though he had to ship 580,000 more over to his opponent.